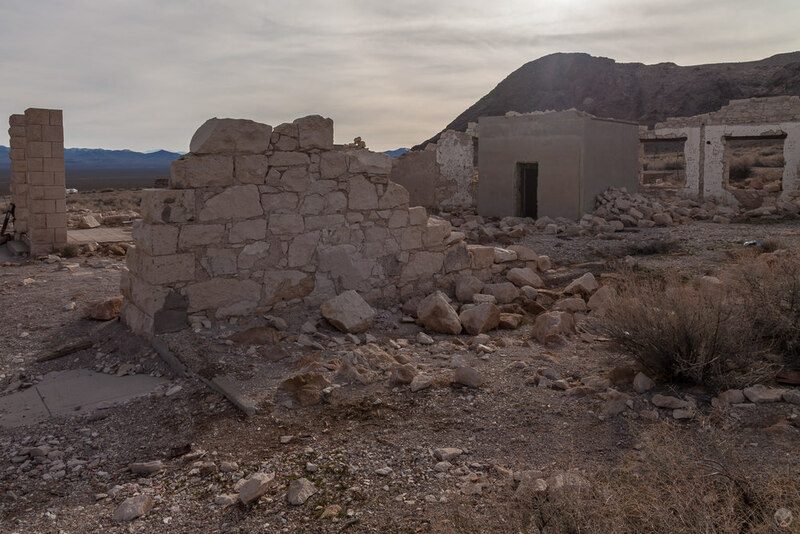 A few years ago, during one of my vacations to Death Valley National Park, I had the opportunity to visit Rhyolite, Nevada - which is located just outside the Park's eastern boundary, a few miles from the modern town of Beatty, NV. 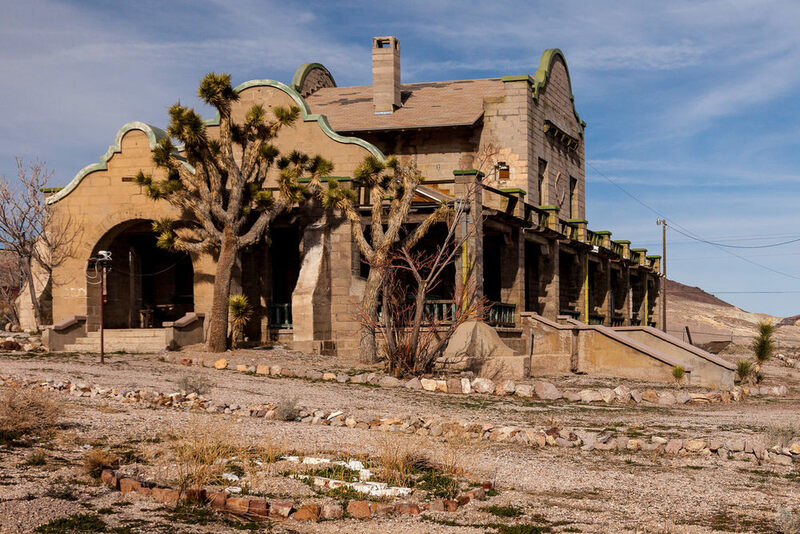 The Las Vegas & Tonopah Railroad Depot. 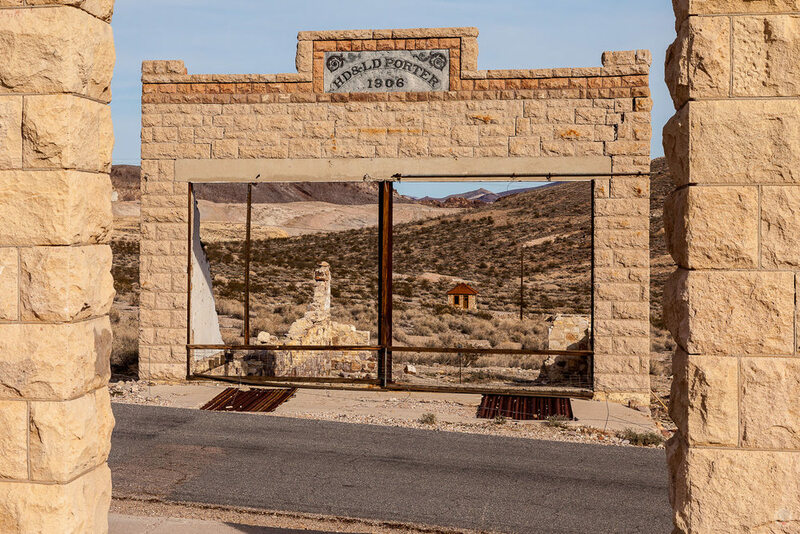 The town of Rhyolite started life in 1904 as a mining camp after quartz was discovered in the surrounding hills. As word spread, over two thousand claims were staked in a thirty mile area around the town. 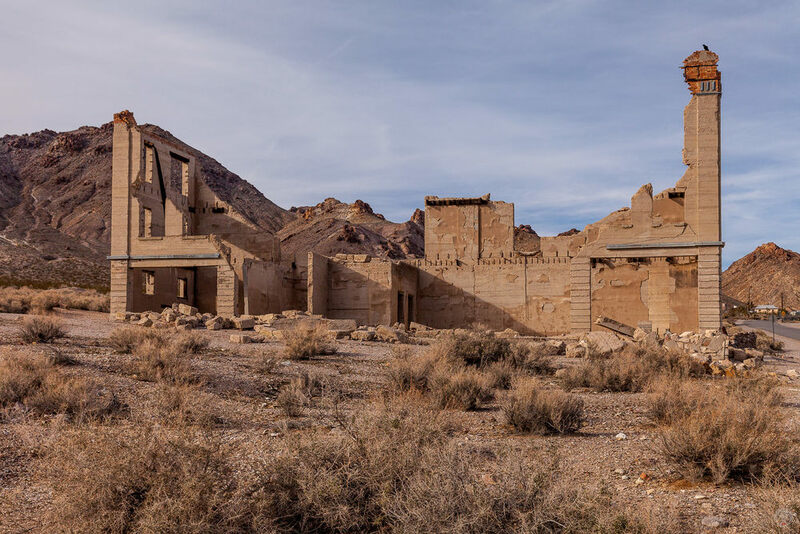 By 1907, Rhyolite was the third largest town in Nevada with estimates placing its population between 3,500 - 5,000 residents. By this time it had electric lights, telephones, water mains, an opera house, a hospital, a school, a stock exchange, and several newspapers. But it was not to last. By 1910 the largest mine in the area was operating at a loss and it closed the following year. 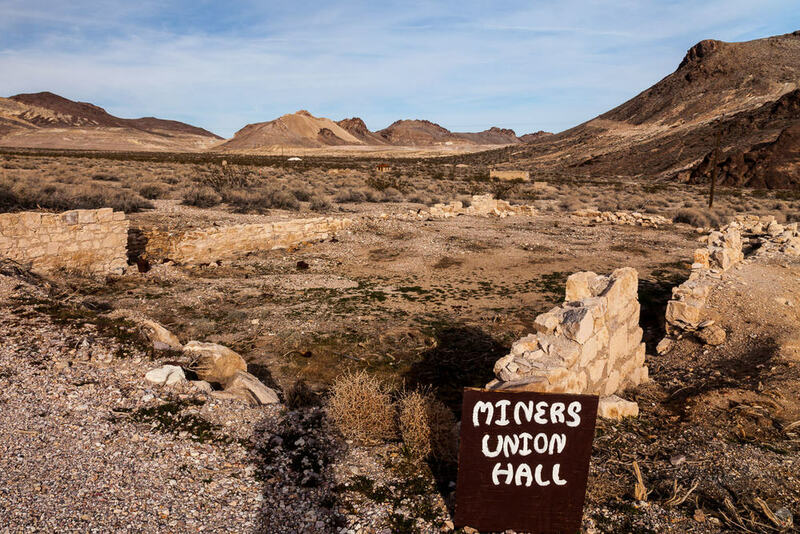 As miners moved on (and out), Rhyolite's population soon dropped to below 1,000. By 1920 it was close to zero. 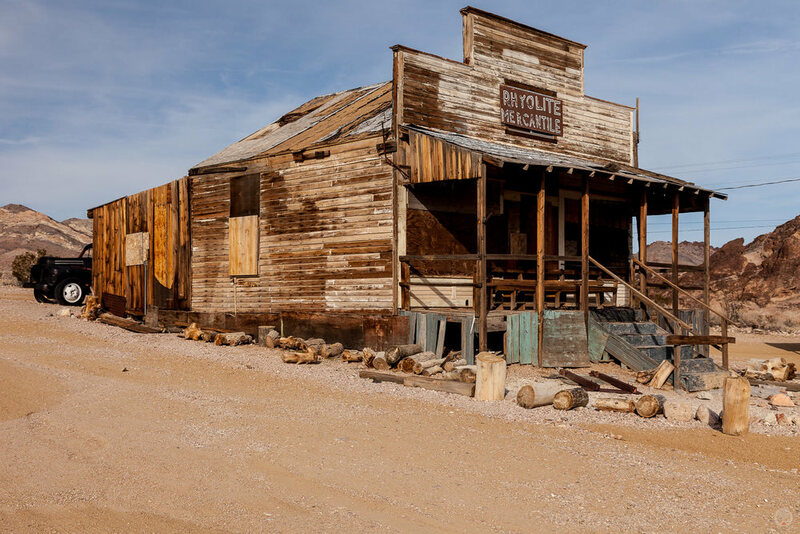 In the years that followed, buildings (and parts of them) were relocated to neighboring Beatty, NV and the remainder of the town was slowly returned to the desert. Looking back at Rhyolite as I travel back to Death Valley. 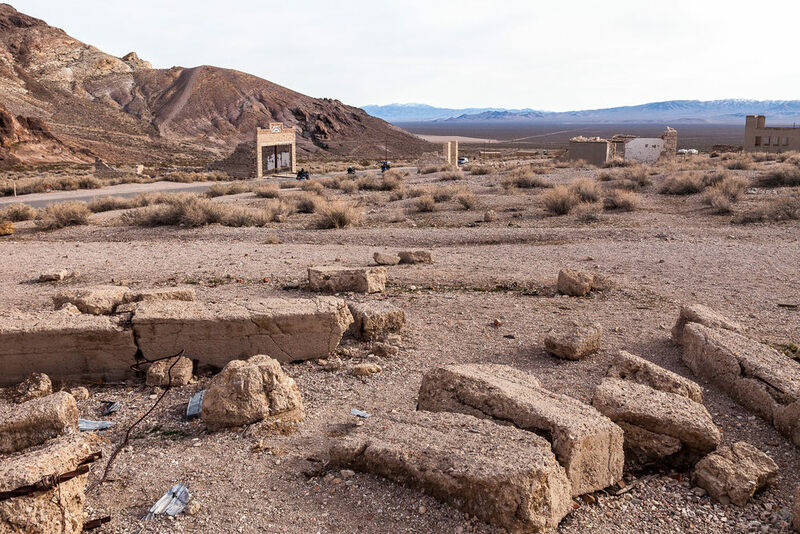 As a ghost town, Rhyolite has attracted Hollywood's eye more than once. Nearly two dozen movies are known to have been filmed here. 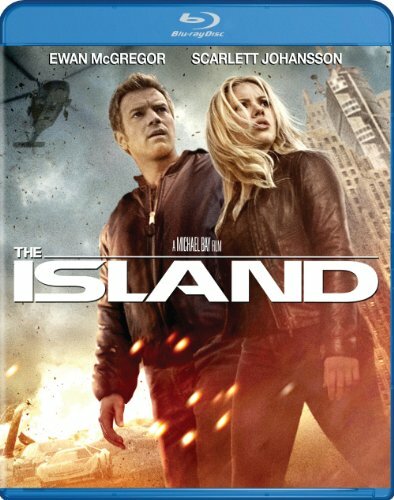 The only one that I have seen personally is the Michael Bay film THE ISLAND; a science fiction film starring Ewan McGregor, Scarlett Johansson, Sean Bean, Djimon Hounsou, Steve Buscemi, and Michael Clarke Duncan. A scene from the film below, shows McGregor's and Johansson's characters running through the town and stopping for a rest at the ruins of the Cook building.